East Webster High School was formed when Cumberland High School and Mathiston High School consolidated for the 1986-87 school year. The school was destroyed by a tornado touching down in the early morning hours of April 27, 2011. The Webster County Schools administration met with the Golden Triangle Development Committee and developed a plan to relocate the East Webster students and staff to the Wood College campus in Mathiston, MS. Wood College also suffered tremendous damage from strong winds and fallen trees but, escaped a lot of structural damage. The community and volunteers from surrounding areas came together in a massive clean-up effort of the Wood campus. After missing only three days of school, classes resumed on May 2, 2011. 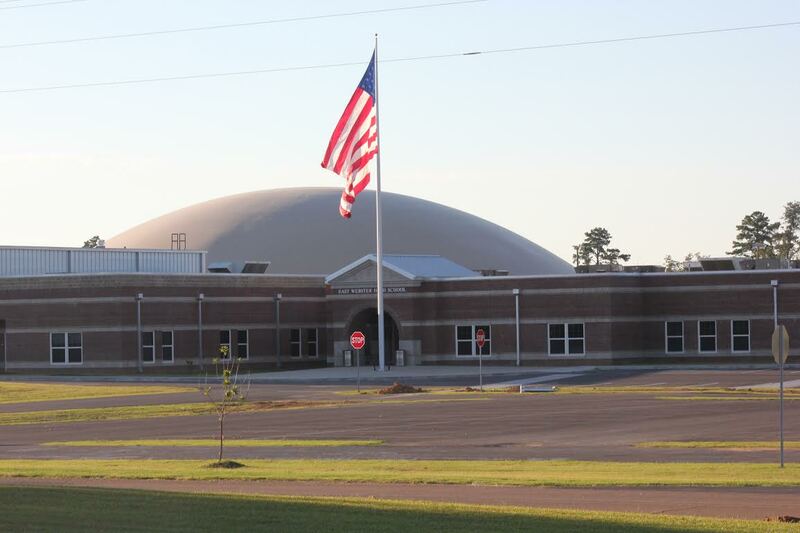 East Webster High School was rebuilt on the Cumberland campus and the staff and students returned home on October 28, 2013.